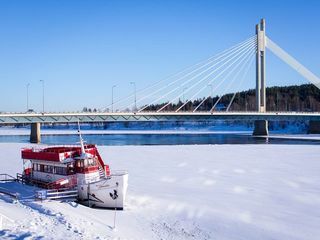 Welcome to Rovaniemi, the Capital of Finnish Lapland and the most popular winter resort! Let us take you through the town and show you the most exciting places. 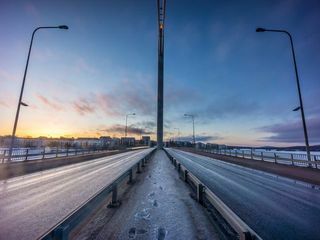 Learn more about Finnish history, discover the city's highlights and find out how can you make the most out of your holiday in Rovaniemi. 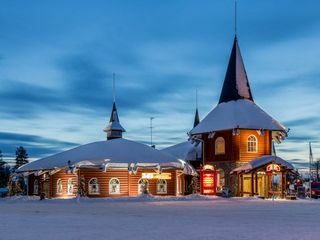 This charming town is best known as the official home of Santa Claus, where Christmas magic lives year round. 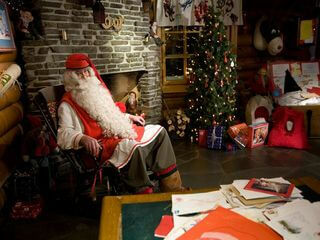 After the sightseeing, we will travel to the countryside, to the official village of Santa Claus. 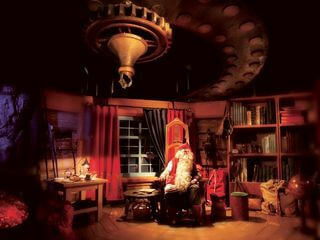 There we'll take you to meet Santa Claus in his office. He's usually busy packing presents and sharing Christmas joy, but you will have an exclusive chance of meeting him while he's on the break! Of course, he would never complete all his work without the help of his elves. 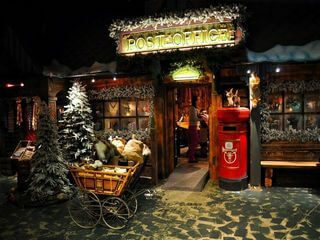 Not only they make toys in their workshop, but they also work in the Elves' Post Office. 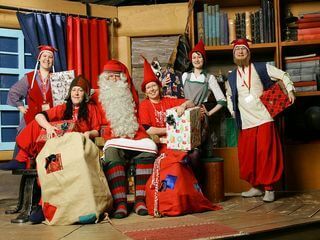 We'll take you to the Posti, an Official Santa's Post Office where you can write letters to friends and send them using unique Arctic Stamp. Send your friends holiday cheer straight from the Arctic Circle! After the post office, it's time for the Arctic Circle Crossing ceremony. 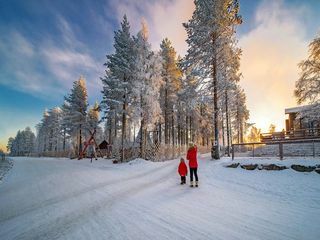 The Arctic Circle runs through Rovaniemi, and you can cross it right there in Santa’s Village. 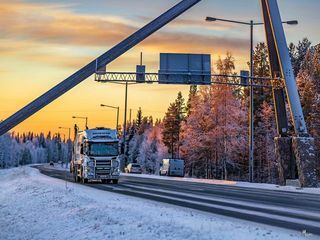 The legend says that Arctic Circle is a stress-free zone and that the northern you go the happier you become. The fun part is getting the certificate of the crossing. And of course we will have time for souvenirs and shops, there are a lot of them! 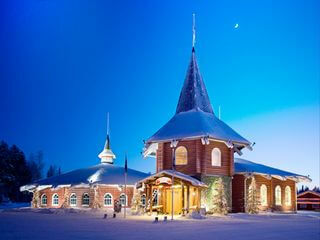 The Santa Village is rightly called the best place for shopping in Rovaniemi. 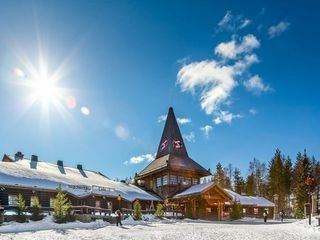 Join us for a guided tour of Santa Claus' secret village, Santa’s Park and enjoy the magic of Lapland with your loved ones..